A sedentary lifestyle is not recommended for your health. A sedentary lifestyle is also not recommended for your brain. A brain that is not exercised is more likely to develop dementia in old age. Challenging brain teasers, therefore, are one way to stimulate your brain and help ward off dementia. Aimed at invigorating your mind, teasers offer critical thinking skills, hours of fun and activities that can be completed with your family. In addition to mind games, here are three more activities you can use to exercise your brain. Learning a new language, cooking skill or sport are all activities that will help exercise your brain because they engage more than one of your senses at the same time. Learning a new recipe, cooking skill or technique involves sight, smell, and taste. To be successful at sports, good hand-eye coordination is vital. Picking up a new language improves your listening skills. Not only will you benefit from physical movement, an additional communication talent or a satisfied tummy, your brain will have participated in the process, too. You can easily find out what state your memory is currently in by testing it. If you are able to remember your grocery list without peeking, memorize a series of numbers or draw a map from memory, you are on the right track. The next step is to continue challenging yourself. If trying to recall information poses a challenge, then you are encouraged to practice until it improves. Consider starting small. Once you are able to recall a list of five items without peeking, add to the list. Math, in and of itself, can be scary for many, but knowing that math is logic using numbers may ease the dread. The ability to execute math problems in your head is a great stimulant for your brain. Simple addition, subtraction, and multiplication is a good starting point. From there, practice executing these equations using double-digit numbers. Once you can confidently carry the one and arrive at the correct answer, consider moving into division equations. 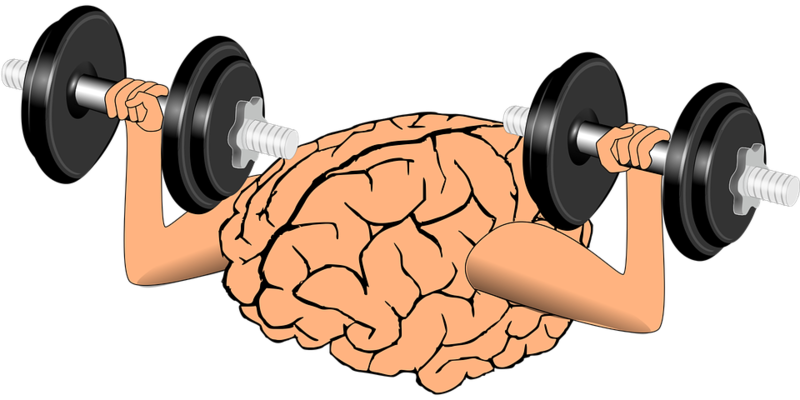 Your brain is one more muscle in your body that benefits from consistent exercise. Muscles that are not strengthened tend to become flabby and unproductive. You can easily stimulate your mind and evade dementia by learning a new skill, testing your memory and completing math problems without pencil and paper.